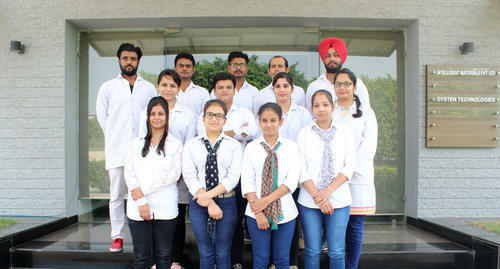 We 'Intelligent Materials Pvt. 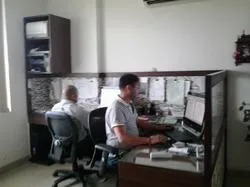 Ltd.', established in the year 2005 are successfully engaged in manufacturing, exporting, trading, importing, supplying, distributing and buying a huge assortment of Nanopowder and Micropowder. These products are processed by making use of quality assured chemical compounds and other allied material with definite chemical composition. Our industry experts employ various chemical reactions and refining methods in the formulation process of this range. Due to the diverse attributes such as high purity level, accurate composition, precise pH value and longer shelf life, our provided products are widely demanded in industries like plastic etc. 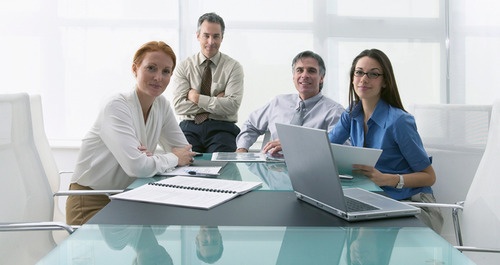 With the help of our adroit professionals, we are able to cater to the varied requirements of our clients by providing them customization solutions as per their specifications. Further, our moral trade practices and competitive pricing have helped us to be associated with the most trusted name of industry. Our exporting countries are Indian Subcontinent, East Asia, Middle East and South East Asia. We are backed by a technologically advanced infrastructural facility that is equipped with the latest machines and technologies. This well facilitated infrastructure unit enables us to provide the best quality products within the time frame assured by our clients. Further, we have departmentalized this unit into various sections like research and development, production, quality-testing, warehousing and so on. Our specially established research and development team endeavor itself to reinvent and rediscover newer world class products, along with newer ways to satisfy our valued patrons. The machine and equipment installed in our infrastructure unit is regularly upgraded and greased to develop products that are in complete compliance with the set international standards. In addition, we are supported by a team of highly skilled professionals, who are experts in their respective field and helps our organization in formulating products that are in accordance with the exact needs and demands specified by our patrons. Owing to their sincere and continuous efforts, we are able to achieve a formidable position in the industry in a short period of time. We have implemented strict quality control procedures in all our business undertakings so that we can deliver the finest quality range of products. Our entire assortment is formulated using quality material and sophisticated technology that assures its flawlessness. Moreover, we have professionals who inspect the quality of our products at each and every stage of the production process. Furthermore, to ensure that our clients get the superior quality products, these products are crucially inspected at the grounds of industry renowned quality parameters. Also, we have set-up an expansive warehousing facility that enables us to keep our wide range of products in safe and secure manner. To accommodate and retrieve the products easily, we have made separate division in this unit. 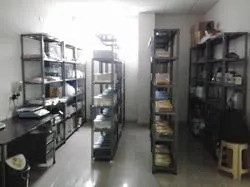 Further, this warehousing unit is well connected to transportation facility that helps us to deliver our products within the stipulated time frame. Our storekeepers maintain proper inventory record, thus avoiding any type of confusion and inventory loss. We have built a large infrastructure that is equipped with all the required automatic machines assists us to produce the optimum quality assortment within the committed time frame. This division is further divided into various sub-units like manufacturing, designing, quality-testing, R & D, warehousing & packaging and sales & marketing. By segregating our sophisticated infrastructure, we ensure the smooth flow of processing, quality checking and other related activities. Also, the installed machinery is regularly lubricated to ensure their hassle free working. We are privileged to have a support of highly experienced and efficient team of professionals which enable us to manufacture and supply a quality array of Carbon Nanotubes, Metal and Alloy Nanoparticles, Oxides Allied Nanoparticles and Nanoparticles. All these professionals are well aware with all the aspects of chemicals and help us in processing the best quality products. Due to the hard work and dedication of these team members, we have been able to successfully maintaining a strong hold in the industry. Nanoshel LLC is a Wilmington, Delaware based nanotechnology company specializing in the commercialization of wide range of Nanoparticles and innovative materials of 21st century. Nanoshel is revolutionizing nanomaterials where traditional materials fall short. Since 2005, Nanoshel has been exploring markets, developing innovative technologies, and providing breakthrough solutions using our Nanomaterials expertise. 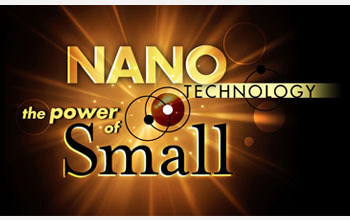 What’s interesting about materials on the Nano Scale – Contrary to popular belief is that size really does matter. That’s because when familiar materials are reduced to Nano proportions, they begin to develop odd properties. For example, plastics can conduct electricity, gold particles can appear red or green and solids can turn into liquids almost spontaneously at room temperature. While not all material is subject to change, the manipulation of such Nano change is a cornerstone of nanotechnology research. At the Nano scale, substances may behave differently or better compared to the same substances at macro sizes. For instance, Gold can change Colour, Carbon can conduct heat and electricity better Silver has improved antimicrobial properties. Other changes that occur to substances at the Nano scale can include: Becoming super-elastic, Becoming more chemically reactive, Getting physically stronger or weaker, and Being able to cope with massive changes in temperature and pressure. It’s because of these unique properties that nanotechnology could be used in such a huge range of products. Nanotubes are members of the fullerene structural family, which also includes the spherical buckyballs, and the ends of a nanotube may be capped with a hemisphere of the buckyball structure. Their name is derived from their long, hollow structure with the walls formed by one-atom-thick sheets of carbon, called graphene. Since then nanomix has been patenting many such sensor applications such as in the field of Carbon Dioxide, Nitrous Oxide, glucose, DNA detection etc. As a container for drug delivery: Because of the versatile structure of the CNT, it can be used for a variety of tasks in and around body. Bio-nanotechnology operates at the scale of atoms and molecules. To fully grasp this scale, one may consider that the ratio of a nanometer to the diameter of a soccer ball is roughly equivalent to the ratio of a soccer ball to the planet earth. The marriage of nanotechnology and biotechnology is a natural one, as we believe that many biological processes take place at the nano scale. Bio-nanotechnology takes most of its fundamentals from nanotechnology. Most of the devices designed for nano bio technological use are directly based on other existing nanotechnologies. Bio-nanotechnology is often used to describe the overlapping multidisciplinary activities associated with bio-sensors, particularly where photonics, chemistry, biology, biophysics, nano-medicine, and engineering converge. Measurement in biology using waveguide techniques, such as dual polarization interferometry, are another example. The impact of Bio-nanotechnology, achieved through structural and mechanistic analyses of biological processes at nano-scale, is their translation into synthetic and technological applications through nanotechnology. In other words, Bio-nanotechnology is essentially miniaturized biotechnology, whereas nano-biotechnology is a specific application of nanotechnology. For example, DNA nanotechnology or cellular engineering would be classified as Bio nanotechnology because they involve working with bio-molecules on the nano scale. Conversely, many new medical technologies involving nano-particles as delivery systems or as sensors would be examples of Bio nanotechnology since they involve using nanotechnology to advance the goals of biology. Endocrine Technology, LLC has defined ETBOND Strategic Plan of Drug Development in accordance to Section 505(b)/ 351(a). As per FDA white paper, 2004 there is “Innovation…Stagnation” leading to escalation of drug development cost to $ 1. 7 B. 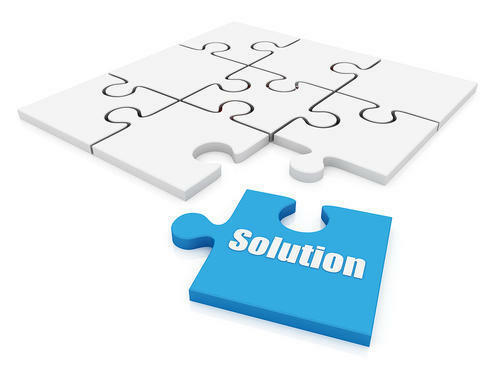 The ETBOND Strategic Plan of Drug Development is innovatively defined. With great pleasure, we introduce ourselves as the remarkable manufacturer and supplier of an assorted gamut of Carbon Nanotubes, Metal and Alloy Nanoparticles, Oxides Allied Nanoparticles and Nanoparticles.